As of this writing its trying to become winter, we have a cold front bearing down on the state. Everything north of Miami has freeze warnings for the next few days. It not a bad thing because it what gets our season really into gear. We have had spectacular weather the last 3 weeks and the fishing was also awesome. My customers have caught Tarpon, Snook, Trout, Redfish, Sharks, Mackerels, Jacks, Snappers, and others on our daily trips big numbers. I cover allot of area, from the north end of Miami all the way to Key Largo and all of Everglades National Park(Flamingo). I try to accommodate my clients and take them to where the fishing is the best. Sometimes they don't want the drive to Flamingo so we stay here on Biscayne Bay which is a world class Trout fishery. 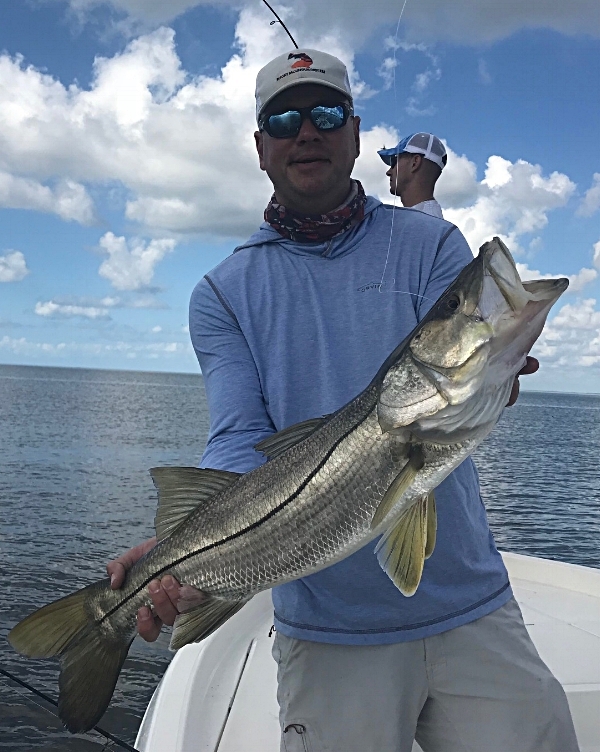 The last 10 days of the year produced my largest Snook 24 lbs. in the Back country of Everglades National Park and a couple days later the biggest Redfish @ 15lbs. unfortunately it came off as we were boating it. This has been a great last 10 days and it looks so positive for the next few months. Tarpon will be the target the coming months in and around Government Cut. The great thing about this fishery is the by catch of Snook, Permit, Snappers, Groupers and others. It can be done early morning of late afternoon! The Tarpon were in full swing last week at Flamingo along with more bait than I have every seen down there. It will take a few weeks now before the waters warm up again, until then we fish East Cape canal deeper water. As you can see I offer allot of different trips and areas all designed for comfort and catching and remember Caught Lookin Charters Is a kid and family friendly charter. 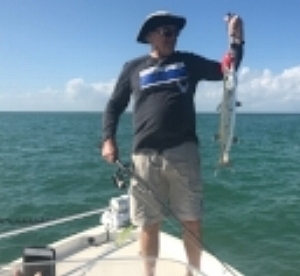 If you are planning a trip to either Miami Beach or would like to fish the Back country of Everglades National Park Give me a call at 305 333 8149. Newer PostCool weather brings multi specie days! Older PostGood time to bring your kids ,fishing is Hot!